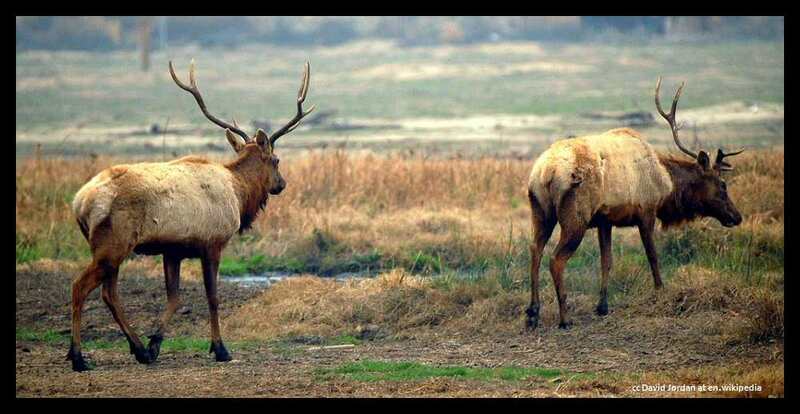 Tule elk (Cervus canadensis nannodes), a subspecies of North American elk, is found only in California. The tule is the smallest of North American elk, but elk are still the second largest member of the deer family after the moose. Totaling nearly 4000 head strong, this elk can be seen in several places in Central California and this article tells you where. A previous Photo of the Week selection. 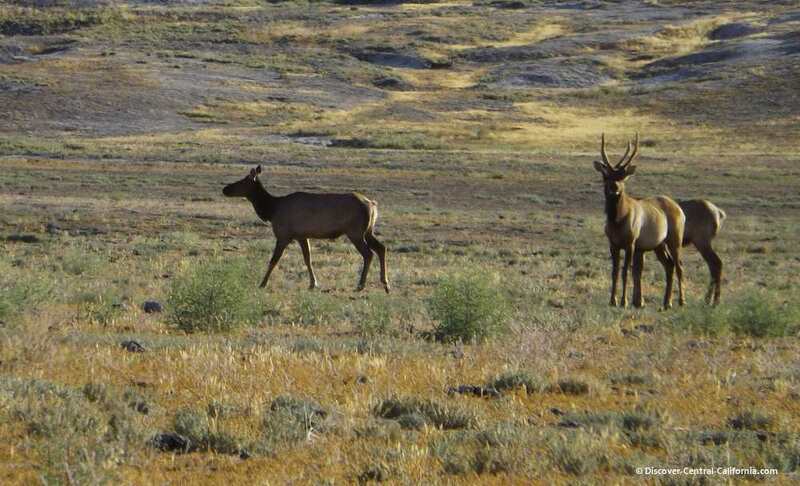 Like many stories of wildlife, the Tule elk is one of habitat destruction and over-hunting resulting in a calamitous population drop. And like some of those other tales, some person or group realizes the foolishness of inaction and saves the day (and the species). In the case of this elk, the rescuing person happened to be a butcher from San Francisco, Henry Miller. Not just any butcher, Miller built up a meat processing empire that was vertically integrated from pasture to the display case. 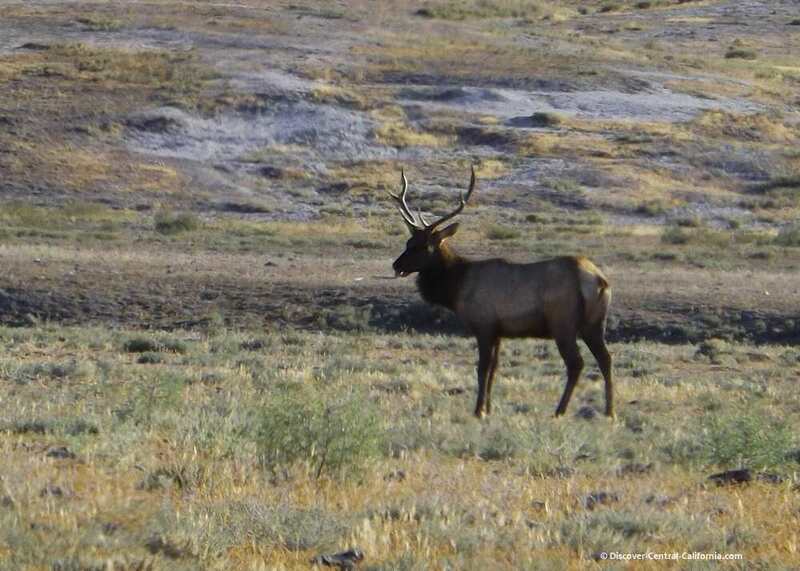 In the 1870's Miller was the one person who saved this type of elk from extinction by preserving the few remaining individuals and providing substantial acreage for habitat. Meaning of "tule": This refers to a plant native to marshy areas of the elks original habitat. Size: Males - 450-550 lbs. Females - 375-425 lbs. However, this may be environmental rather than genetic as individuals moved to better grazing areas grow to the size of the other subspecies. 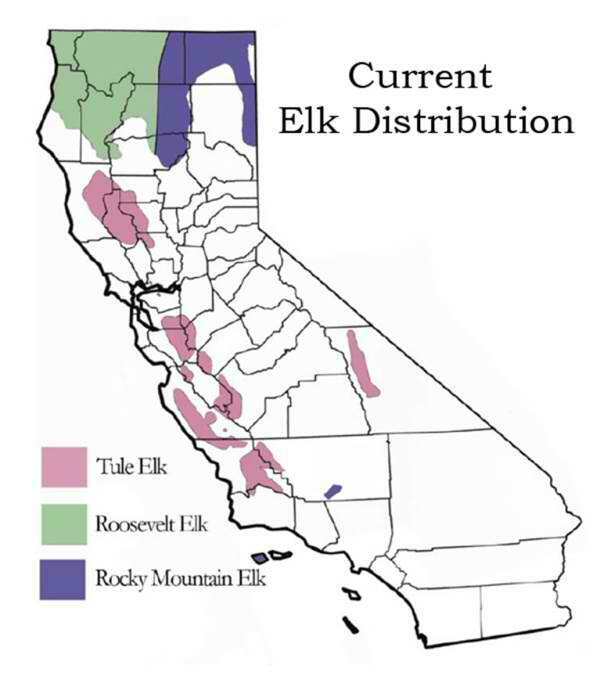 Possible areas to see elk: Carrizo Plains; Bitterwater Road (San Luis Obispo County; Vineyard Canyon Road; Cholame Road (SE of Parkfield); Fort Hunter Liggett which surrounds Mission San Antonio. 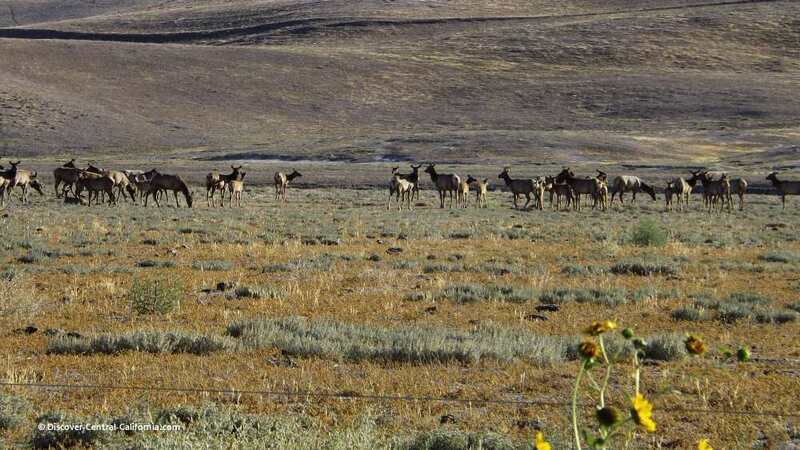 In the San Joaquin Valley near Buttonwillow, just outside of Central California, is the TuleElk State Natural Reserve where a herd of elk is on a 1000 acre fenced site. I recently came across this herd of elk on Cholame Road, just a few miles north of the intersection of Highways 41 and 46 (the same intersection where James Dean lost his life). I have previously seen herds in this area, but at a greater distance. This was the largest (about 30) that I've spotted. 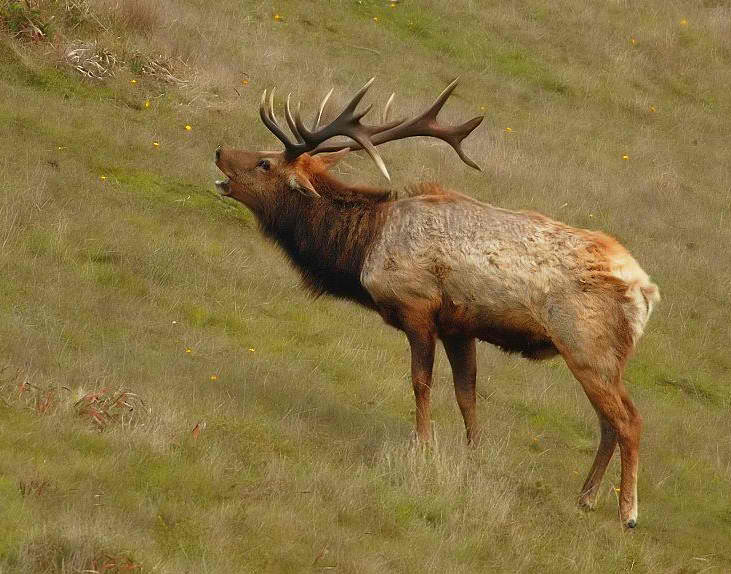 As mentioned above, Vineyard Canyon Road is another place where elk are sometimes spotted. I once saw a herd of 25 bulls. The closest encounter I've had was also on this road when an elk calf was wandering along the roadway, seemingly confused and separated from the rest of the herd. I stopped for it (alas, no camera with me) and it must have heard calls from mom as it ran off in a rush. It was a young calf, but was as big or bigger than any adult mule deer I've seen.